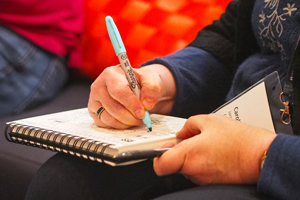 Service design in government: it’s a technical way of talking about all the ways in which we have to do government things – and how those of us who work in government can improve them. 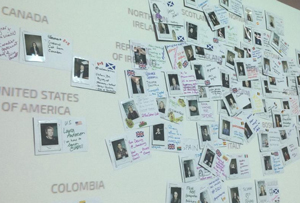 At Service Design in Government 2015, we welcomed keynote speakers Jess McMullin, designer and independent consultant from Edmonton, Canada; his co-speaker Alex MacLennan, civil servant, from British Columbia, Canada; and Andrea Siodmok of the Policy Lab, part of the Cabinet Office. most all, discovering the many ways we can work together to improve government services for people. Tim Paul and I led a workshop: “A community not a library: Design patterns for government services”. (slides are at the end of these notes). You’ll see that Tim easily leads the list for number of edits on the GOV.UK design patterns hackpad, and it was great to hear him talk about the origins of the design patterns and vision for building a community of designers. 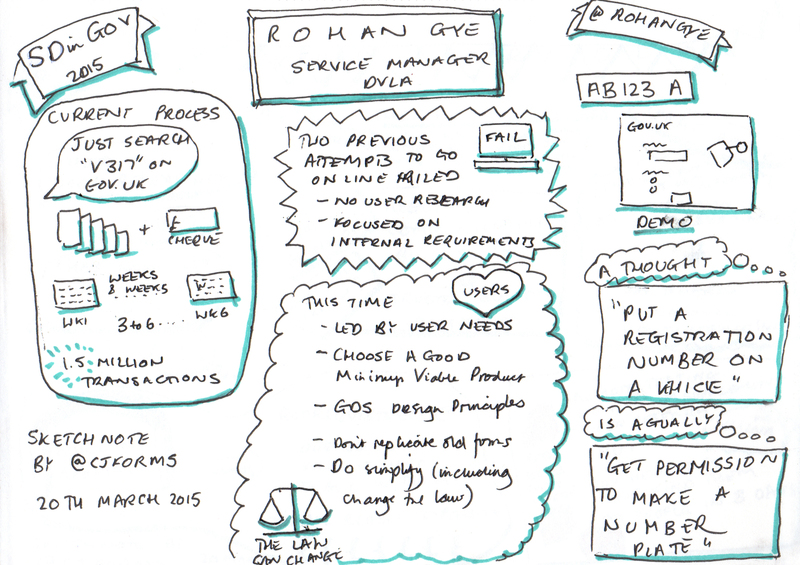 A key message was: “There are more people designing GOV.UK outside GDS than inside GDS”. Some people left us to hear our colleague Louise Downe talk about redesigning government as an agile service platform, a talk I’d have loved to hear too, but most stayed for the interactive part of our workshop where they investigated the GDS Service Manual and design patterns for themselves. We enjoyed hearing their perspectives and gathering their questions; lots for us to think about as we continue to work on the patterns. My afternoon was filled with two presentations from contrasting areas: a very deprived village in Derbyshire, and a much wealthier small town in Catalonia. The common thread for me was the importance of understanding the real context in which services happen – and then testing our designs in that context. For Cotmanhay in Derbyshire, that meant getting a community’s involvement in service design – and accepting their verdicts. For example: better bus services are useless for people who can’t afford bus fares. 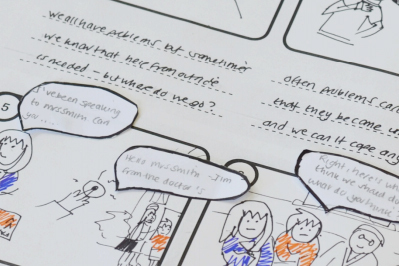 The picture shows a small section of a paper prototype from the Thriving Families presentation (.pdf). For Sant Quirze del Vallès in Catalonia, understanding the realistic context included ‘cardboard prototyping’ for a new office layout, and iterating until staff and citizens felt comfortable doing all their various tasks in the prototype space before building it. I particularly liked the glass walls between interview booths, so that citizens had privacy when talking to government staff but without making the space look dark or cramped. My notes from Thursday really didn’t do justice to all the thoughts and conversations I’d had, so on the Friday I got out my sketch book. 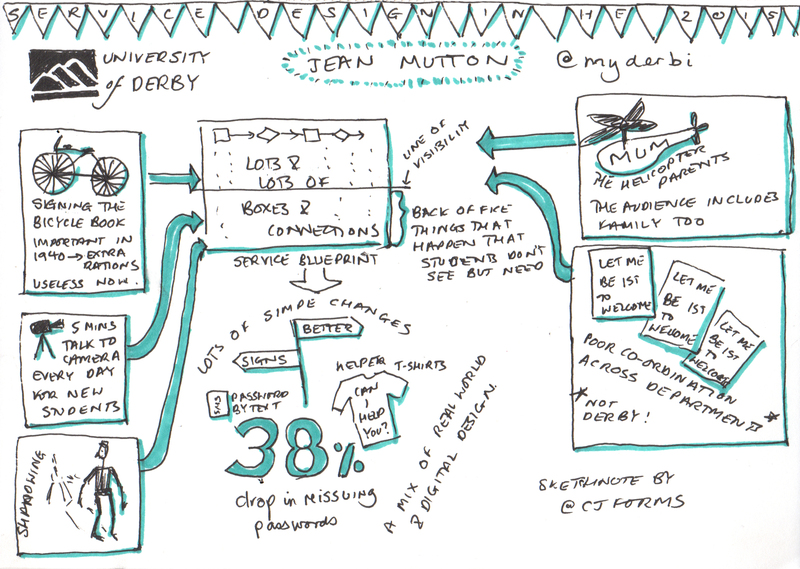 It seemed extra appropriate to have a go at sketchnotes as I’ve learned so much from Michele Ide-Smith’s Getting Started with Sketchnoting, and Michele is part of the terrific team that puts this conference together. 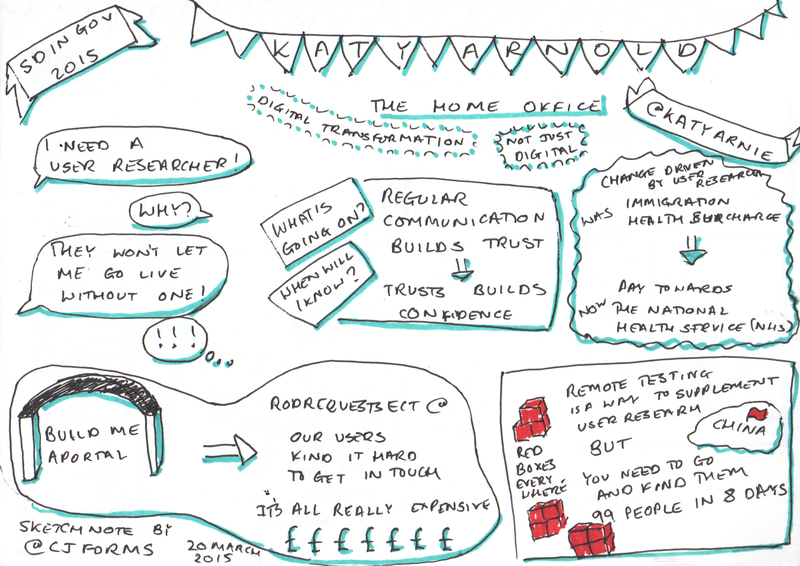 You can see my sketchnotes below, and compare Michele’s and mine for two of the sessions we both attended at the Lanyrd site for the SDinGOV 2015. Looking back through my notes and sketches, I’m glad I did them – the sketches help me to recall those talks better than others. What they can’t do, though, is capture the most valuable part of the conference for me: all the conversations that happened between talks.